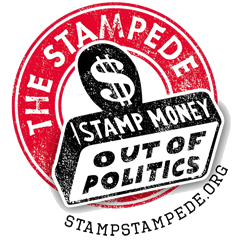 Stamp Stampede is a petition on steroids. Sign-up for the latest campaign updates, breaking news on big money in politics and voting rights. We will also send you information about activist opportunities near you.